1) Indies are gold. Both Sony and Nintendo appear to have sponsored the indies section this year - or at least, where there was once "I <3 PlayStation" signs exclusively hanging over the section to remind everyone who is the indie's best friend, this year there were a lot of Nintendo signs to go with it. This is curious, because Nintendo has traditionally had very little (read: nothing) to do with TGS, but It also makes sense, because the indies booth would have been twice as large as in years past, if not more. And, given the breakdown of platforms that the indies are developing for, it is completely fair to say Sony and Nintendo share the honour of being the friendliest towards indie development at the moment. 2) The focus on smartphone games has eased. 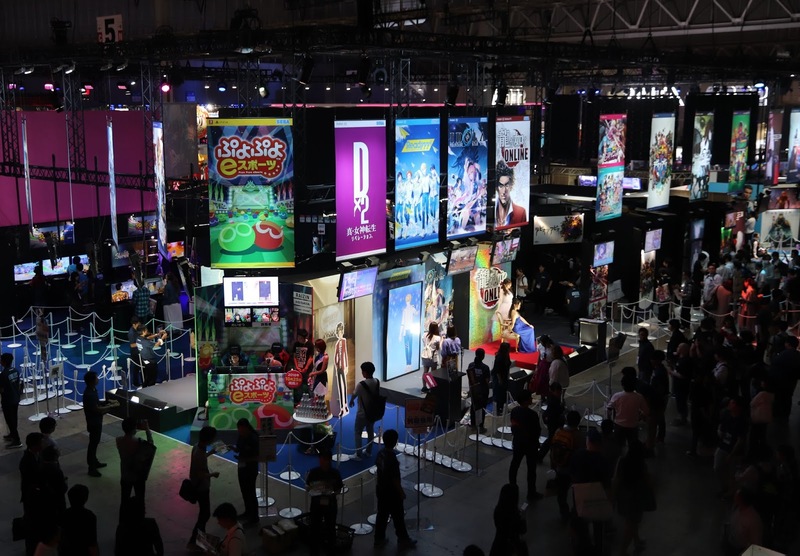 Overall, the number of games exhibited at TGS this year is 1,568 (no, I didn't count them all, this number was supplied to press). This compares to 1,317 in 2017 - a not insubstantial jump. However, iOS games on show only rose from 204 to 209. The biggest gains by percentage were in the Nintendo Switch (up to 144 from 46! ), PlayStation 4 (134 from 112), and Xbox (! ), which lifted to 40 from 27. 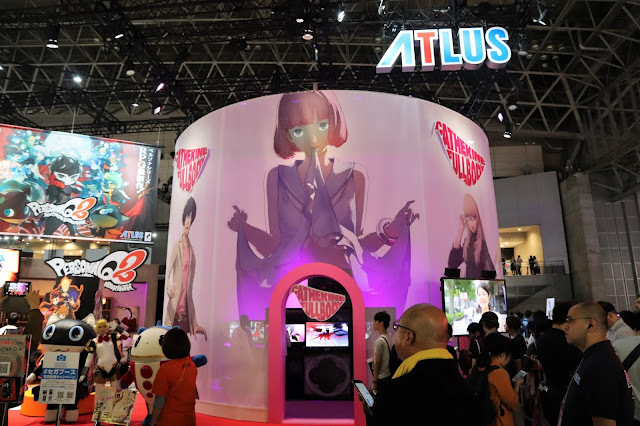 Obviously mobile games aren't going away, and many of the biggest booths were still heavily focused on what the developer and publisher is doing next on the platform. But I do think the difficult monetisation models of the smartphone space, which force developers into certain "types" of games, is starting to wear thin with developers that would rather be paid upfront and be done with it. 3) Japan's interest in games continues to veer more substantially towards stuff from its own region. In years gone by, Microsoft, EA, Activision and Ubisoft would invest in huge booths to show off what's coming up. 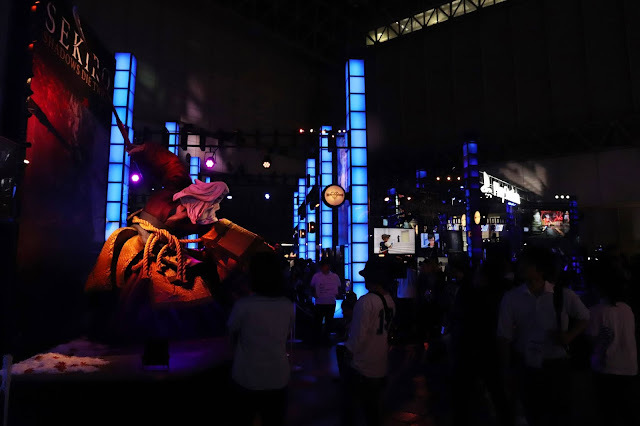 Now, only Bethesda invests the big dollars in TGS promotion, and even then, it's via giant ads outside the event, rather than a floor presence. Where publishers have a blend of western and Japanese games on the way - Square Enix and Sony, for example, the western stuff is heavily backgrounded in preference to the Japanese stuff. That's not to say there isn't interest in Fallout and Rage and Just Cause and Days Gone, but over the last few years I have witnessed a clear trend towards games and experiences from Asia as the focus of TGS. Much of that is because the TGS organisers have been so successful in encouraging the industries of Korea, China, and greater Asia to the event, but part of it is also cultural, I feel. The years where Japan's games industry desperately struggled to be part of the western games industry are over. 4) There's just too much focus being placed on esports. 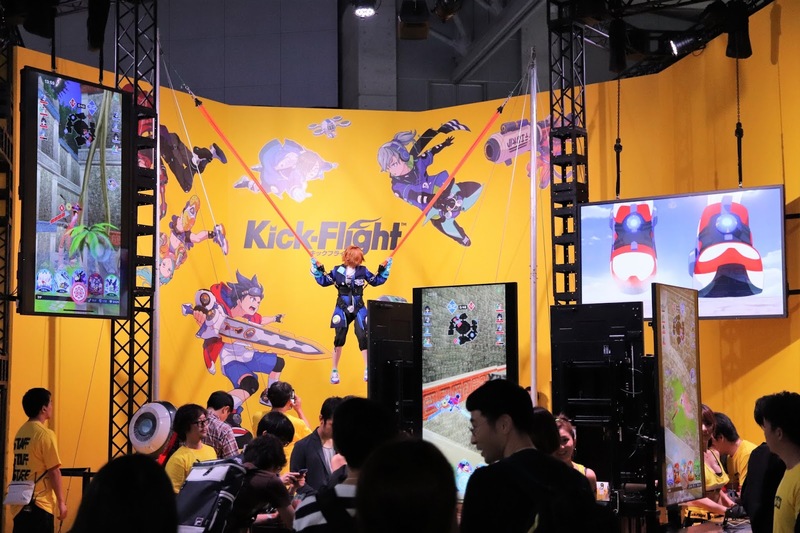 I guess it's hard to really show off an "artistic game" at a venue like TGS, but from the massive stages set up to host esports events to the unrelenting focus on esports from the gigantic booths dedicated to the likes of PUBG, HP, and the like, it's also clear that esports is dominating the market mindset at the moment. Enough so that my concerns about it starting to pull real dollars that might have otherwise gone to "art games" is actually playing out. I understand that there's a lot of money to be made making esports games, but after so many years in which the games industry insisted that it was an art form, it's time to acknowledge a reality here: esport and art game are mutually exclusive, and if one of them is growing it means by default that the other is on decline. 5) VR's role in the industry is shifting. You could look at the relative lack of news about VR now and assume that means it's on the decline, but the size of the VR section at TGS would suggest otherwise. What is clear, however, is that home VR is not so much a focus now. The use of VR in gyms, or in pairing it with haptic suits so you can play paintball without the mess... this is where VR seems to be seeing the bulk of the interest from the industry. All in all TGS was a fascinating event as always. I might have liked to spend more time on the floor (if for no other reason than to test out games), but what I did see of it reminds me why I simply prefer the event; it's often the only chance we get to see games that are genuinely different before we get inundated with the latest round of shootybang news all over again.